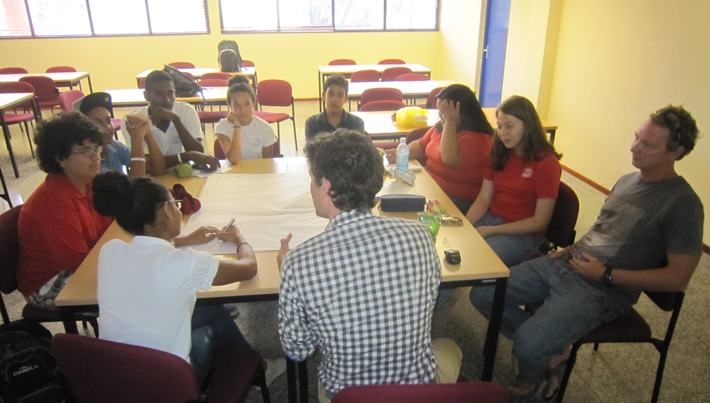 At the 2nd Aruban Green Education Symposium, april 21-24 2013, Geert Kooistra held an inspirational lecture and facilitated several workshops. Over the course of two days, neaarly a thousand students and teachers from different schools and colleges, Universidad di Aruba & Instituto Pedagogico Arubano (I.P.A.) attended the lecture on Aruba’s active transition to full sustainability and the possibilities crowd participation can offer.